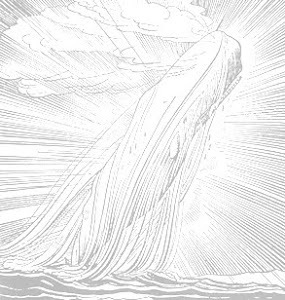 Ahab spent but little time at home before heading back to sea, seeking to satisfy his megalomanic obsessions. And so I too seem lured to sea too soon. Redburn is now underway. A story of a boy who grew up in a Hudson River village only to be lured by the sea and foreign travel, a contemporary critic praised the book for showing off Melville's narrative prowess without displaying signs of his "anti-religious temper". We'll see, we'll see.